Taj Mahal, symbol of eternal love, wrapped in the blanket of mild fog, clicked from Darwaza-e-Roza. Taj Mahal basking in the glory of the fading sun. Picture taken from the Sunset Point also known as the Mehtab Bagh. Agra Fort, UNESCO World Heritage Site & witness of many fierce battles, power, richness & culture of the great rich & seemingly matchless era of India. Sikandra, final resting place of Akbar designed by himself. An important Mughal architectural masterpiece. Taj Travel Services specializes in providing round the clock assistance to our valuable guests. Our prompt service & professionalism is what sets us apart from all our other competitors. Our well skilled team is quick to gauge the nature, expectation, requirement & interest of the clients, hence striking the balance and interpersonal relationship at once, making them feel at home. Our team comprises of informative guides/escorts well trained and groomed in professional ambiance, hence we try our best to give information in more interactive manner rather than the conventional story telling. We are a team of travel fanatics we serve the purpose of being your trustworthy & reliable service provider in Agra, catering to the requirement of your niche guests. Our young, energetic and professional team makes sure that our clients are well taken care off. The team is headed by a group of experienced individuals with a combined field experience of over three decades. Our ‘Service with smile” attitude has won us many recommendations from clients all over the world. Naveen was a charming guide during my stay in Agra; he has many wonderful contacts and excellent knowledge of the palace and places of interest. My time there was made so memorable by his care and attention to detail. A special thanks to Mr. Naveen Upadhayay for making my recent trip to Agra Taj Mahal special and memorable one! Had a gr8 time there and was a fun and loving trip..Looking forward soon for another one. Well done! 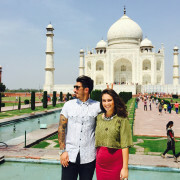 Visited Agra on 25 March 2015, provided by an amazing tour guide Samarth Sharma (Sam) !! Best trip to the taj and well explained to us. I visited Agra, Taj Mahal on 09 March, 2015. I am very satisfied meeting with my guide Deepak Suneja there in Agra. He was caring me like he’s my dad. He didn’t even accept the tip from me to him. Of course thats not just why I like him. I was offered the tip by my heart, I wish he could take the tip. He was like my dad, I like himself and his personality, he took me to his office and then I had the opportunity to meet other people in his office then he bought me a tea. All good people. Greetings from Istanbul, Turkey. Hope to meet with Deepak Suneja again! We had really lovely trip with the best tour guide we could have hoped for. As. Two girls in India it was not always easy for us to feel save but with Deepak we knew we could trust him immediately and could enjoy out tourist sight seeing. 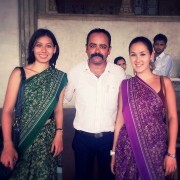 He adapted our tour to our interests and we got the most amazing impression from India. We will definitely come back one day and chose Deepak again. Thank you for an unforgettable trip! ME AND MY FAMILY VISTED INDIA IN APRIL 2015. 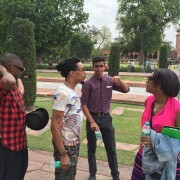 WE WENT TO THE TAJ MAHAL AND WAS GREATED BY OUR VERY SMART, CLEAN AND INFORMATIVE TOUR GUIDE SAMARTH SHARMA. THE EXPERIENCE WAS BEAUTIFUL. 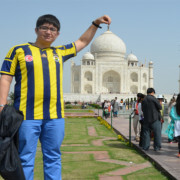 SAM/OUR GUIDE IS WHAT WE CALLED HIM, WAS HELPFUL AND VERY KNOWLEGABLE ABOUT THE TAJ MAHAL HISTORY AND ALSO THE AREA. WE QUESTIONED HIM ABOUT THE AREA AND THINGS WE NEEDED AND WANTED TO DO. HE NOT ONLY EDUCATED US, BUT TOOK US AND MADE SURE WE WERE SAFE AND PLEASED. 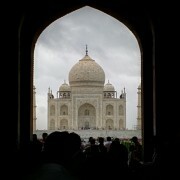 I HIGHLY RECOMMED THE TAJ TRAVEL SERVICES. 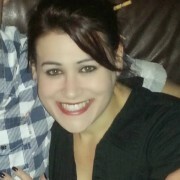 A+++++++++++++. Amazing tour guide. We only had very limited time because we were in town for a TV program but Deepesh gave us a very informative and memorable speed tour! 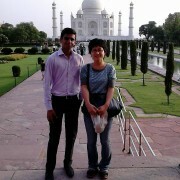 Wonderful visit of the Taj Mahal with a very professional and friendly guide Sam(Samarth). The best tour I’ve done, all cities included . Highly recommended guide !